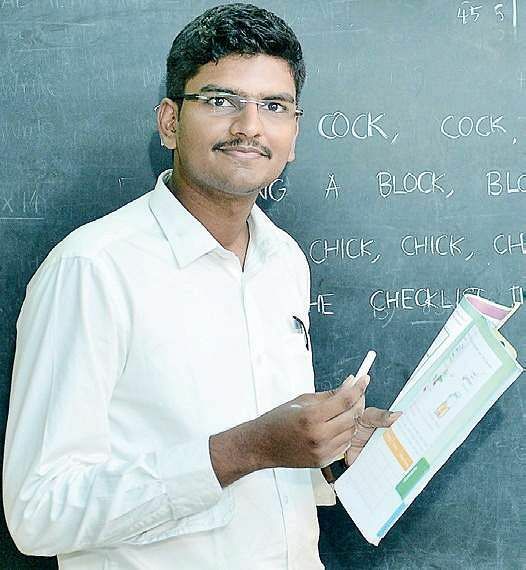 Aravindhan, who’s from a small town called Erundavadi near Kumbakonam, did his elementary education at a government school. He moved to Chennai at the age of 12 when his mother got an opportunity to work here. While he was pursuing his engineering degree, he was introduced to IEEE. “I didn’t want college to be just books. So, I immediately became a member with the guidance of my seniors. We used to organise events to help students pick up presentation skills and communication skills. We as engineers lack that,” says Aravindhan. And now, he has won the Larry K Wilson award from IEEE in the Asia-Pacific region for his volunteering activities. When asked what pushed him to take up the fellowship, he says it was actually IEEE that inspired him. His mentor at IEEE got him interested in Teach for India (TFI) and the work they do. “I instantly got hooked. I knew it was the right thing for me to do to see the ground reality. I didn’t want to pursue my Master’s and the take the traditional route,” he explains. And he says everyday something that happens in class makes him feel like he took the right decision. “We had a science fair happening at a neighbouring school and one kid from my class made this beautiful parts-of-the-body model on his own. But he was late so we couldn’t get him to register on time. So I was forced to tell him that he cannot participate and you won’t believe how he reacted. He didn’t throw a tantrum. He didn’t cry. He just said he will look around at the other models this year and that next year he will participate with something better. I was moved. Somehow we convinced the organisers and guess what? He won the first place. I teach them things from the books, they teach me something better than that,” smiles Aravindhan.